Every year, US consumers are required to pay income taxes to the IRS, but if you miss your deadline, you can face some severe consequences. The more time that goes by, the more serious these issues become, costing you additional money and distress in the long run. The severity of what will happen depends on a variety of reasons, but if you don't pay your tax debt, you can typically expect the following repercussions. What Really Happens If I Don't Pay My Taxes? Around 10 days after April 15th, you begin to receive IRS tax notices and you will be sent a bill showing the owed amount (including your taxes, penalties, and interest). If you fail to file a tax return, you must pay a 5% penalty of your owed taxes, which is either a minimum penalty of $135 or 100% of the tax owed -- whichever is less. You may also be charged with a failure to pay penalty, which includes a late fee of 0.5% each month and may go up to a penalty as high as 25%. If your tax return is over 60 days late, your penalty could be as high as 100% of the tax owed. Your initial bill is the start of the collection process and will demand the full payment of your remaining balance. As time goes on, the added interest and penalties cause your tax debt to greatly increase. If you can provide the IRS with a reason as to why you could not pay on time, you may be able to avoid this penalty; however, the IRS can't waive interest due to the fact they are charging you for your late payment. Tax lien: A tax lien is a claim that the IRS puts on your property that notifies creditors that they have put a claim on all of your property. Even if you sell the asset, the IRS can still receive a some or all of the funds. This lien can take anywhere from a few days to months to be put in place and negatively impacts your future financial decisions, such as getting a job or taking out a loan, even if it's not on your credit report. Tax levy: A Federal tax levy allows the IRS to seize your assets, which could include your bank accounts, wages, retirement funds, future state or federal refunds, vehicle, home, and Social Security in order to put it towards paying off your tax debt. Collections: The IRS can also send your account to collections. This notice will also give you the collection agency's contact information so you can settle any tax debt. In some circumstances, your tax debt may be sent to a revenue officer who will personally collect the owed amount, although this is usually reserved for people who owe the IRS thousands of dollars. Passport restrictions: The State Department may choose to revoke your passport or choose not to renew it. Any unpaid tax debt to the IRS will severely damage your credit and appear on your credit report. This serious debt stays on your credit report for up to seven years. However, if you find an unverifiable tax debt, lien, or levy on your credit report (or if you just want to improve your score), you can turn to credit repair as a means of disputing inaccurate items. The IRS may file charges or pursue a criminal case against you for tax evasion. You could receive a summons to meet an IRS officer and present documentation or even testify. However, it is also possible that the IRS only wants to gather information through a third party with knowledge of your scenario and in this case, the third party will be summoned instead. You could fall so behind on your taxes and other debts that you might find it difficult to stay afloat and be forced to file for bankruptcy. This may get rid of your tax debt but if it has turned into a tax lien, it may not be discharged and the IRS might try to collect it after bankruptcy. While bankruptcy can help you start over with a clean slate, it should only be used as a final attempt to get rid of debt since it can greatly damage your credit. If you refuse to file a tax return or pay your owed taxes after you have filed, this is a criminal act known as tax evasion. The IRS will usually not prosecute people who didn't pay their return due to reasons beyond their control, such as a tax return getting lost in the mail or making errors. As long as taxpayers are willing to work with the IRS (through a payment plan or otherwise), they are less likely to face serious consequences. Serving time in jail is most likely a worst-case scenario. As long as you are willing to cooperate with the IRS, you will probably not have to deal with this. However, if the IRS believes that you have intentionally tried to commit fraud, you could end up serving jail time. The IRS has the right to pursue you for unpaid taxes for up to 10 years. There are a few exceptions for certain scenarios, but if you don't pay your taxes when they are due, you could end up with the IRS problems for a decade. How Do I Deal With My Tax Debt? The most important step is preventative: always pay your taxes on time, even if you can't cover the entire cost. The IRS offers multiple payment plans and options if you have trouble fully paying your tax debt. Remember, the IRS generally only pursues criminal charges for those who are purposely evading their taxes and if you are making an effort to pay it off, they are more likely to work with you. If you already owe delinquent taxes, you have a few options to settle your tax debt. 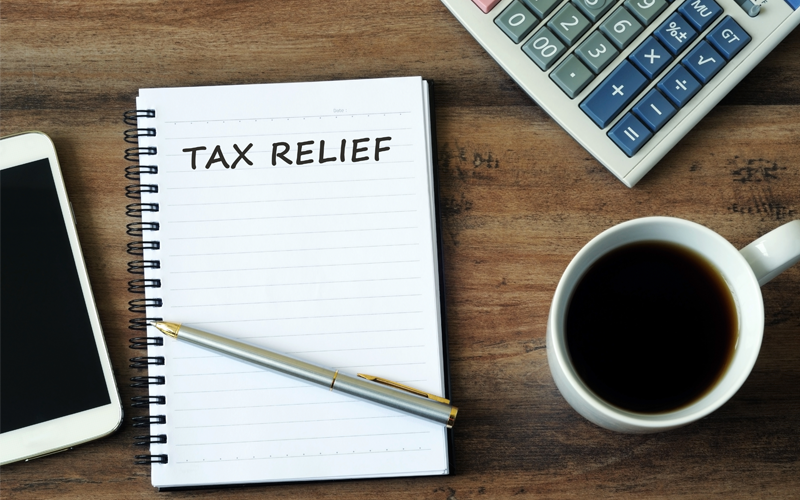 If you're unsure of the best tax relief option for you, you can speak to a reputable tax relief company to find your best course of action. You can contact the IRS with any questions you have by either calling the phone number on your notice. Not paying your taxes results in some serious consequences, so always be sure that you file your taxes on time. If you already owe back taxes to the IRS, be sure to contact a reputable tax relief company to find the best solution for you.